The newly released Makito X4 is Haivision’s next generation HEVC/H.265 and AVC/H.264 encoder for ultra low latency streaming of live 4K and HD video over IP. Extremely powerful and highly versatile, the Makito X4 is available as a compact 4-input appliance or a blade supporting up to 84 HD or 21 4K inputs in a 4RU rack. Designed for the most demanding real-time applications, the Makito X4 can encode and stream broadcast video with 10-bit pixel depth and 4:2:2 chroma subsampling. Based on Haivision’s new and powerful 8 core encoding engine, the Makito X4 can securely deliver simultaneous multi-bitrate streams over any IP network, including the public internet. The Makito X4 adds 4K UHD and high density HD broadcast capabilities to Haivision’s Makito X product line and is packed with the latest technologies to ensure secure, low-latency, broadcast quality video for live broadcast contribution, remote production, and enterprise video. The Makito X4 was designed for broadcasters that to encode live video in HD or 4K for streaming over IP networks. Whether encoding with 8- or 10-bit pixel depths, the Makito X4 delivers excellent picture quality, even at low bitrates. For workflows where color precision is needed, the Makito X4 offers 4:2:2 chroma subsampling to ensure that color fidelity can be maintained, and artefacts prevented, in downstream workflows. 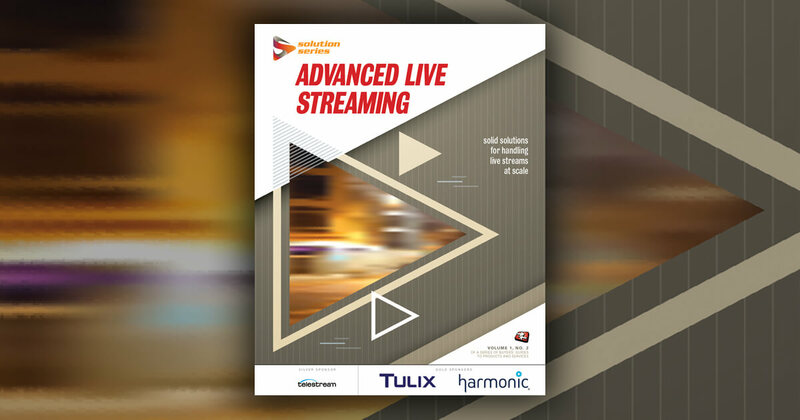 Up to 8 encoding cores can encode and stream HEVC and H.264 with very low latency, which makes the Makito X4 ideally suited for interactive video applications such as field contribution, live interviews, return feeds and confidence monitoring. Haivision’s unique StreamSync technology can also synchronize camera feeds over IP for remote production and REMI workflows. Broadcast Quality: The X4 features HEVC/H.265 and AVC/H.264 live encoding with 4:2:2 chroma subsampling and 10 bit pixel depths. Ultra Low Latency: The Makito X4 can encode and stream HEVC and H.264 at very low latency for live bidirectional video. High Density HEVC Encoding: The Makito X4 is a compact, easily portable appliance ideal for remote locations and mobile platforms. Makito X4 blades offer the highest channel density available, up to 84 HD or 21 UHD video sources within a single 4RU rack module. Flexible and Future Proof: The Makito X4 supports 4K and IP-based production workflows, ensuring that your encoding workflows address today’s critical needs, and are flexible enough to adapt to your future infrastructure requirements. Secure Content Encryption, Reliable and Streaming: The Makito X4 can encrypt video streams with up to 256-bit AES key lengths using the SRT protocol, which is critical when sharing valuable content over the internet.